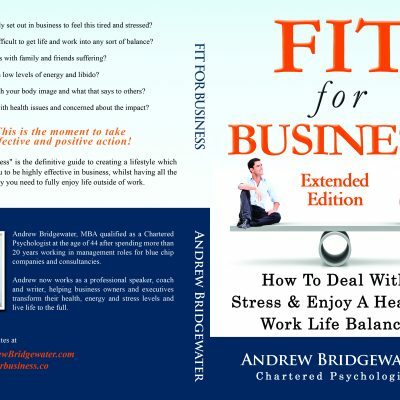 Andrew Bridgewater wrote ‘Fit for Business’ to help others combat the challenges he faced when he ended up in a psychiatric hospital in 2006. Suffering from severe depression and contemplating suicide, he could find little practical help or support to deal with the problems he was facing. This book is a powerful and moving story of Andrew’s recovery, and a formula for dealing with stress and depression. It sets out a simple 12-week programme of small changes that together help create a healthy work life balance without the need to resort to prescription drugs, which often have unpleasant and potentially long-term side effects. 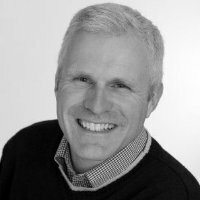 Andrew writes about the stigma associated with mental illness. “For too long, chronic stress, depression and anxiety at work have been taboo subjects that people feel reluctant to talk about. Any help that is available usually focuses on attempting a quick fix, rather than long lasting prevention and a good work life balance. This book tackles the stigma head on and provides powerful methods for dealing with stress in natural, healthy and lasting ways”.